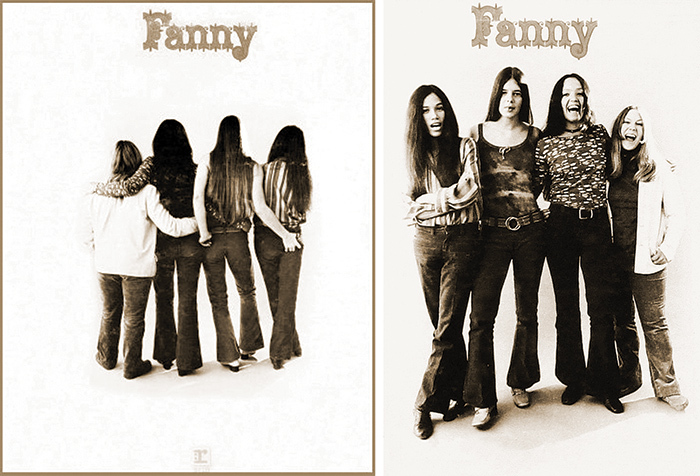 Before The Runaways, before the Go-Go’s and Bangles, and before there were Riot grrrls, there was Fanny. One of the first all-female rock groups signed to a major label, the California quartet released five albums of harmony-rich, danceable, boogie-based rock and roll, and scored a couple of minor hits for Reprise Records in a run from 1969 until ’75. What the group lacked in major commercial successes it made up for with an impressive list of high-profile fans, including Little Feat’s Lowell George, David Bowie, and members of the Beatles’ camp, as well as a strong live reputation from extensive touring in the U.S. and U.K., where the band more than held its own alongside top acts of the day. More importantly, Fanny – guitarist/vocalist June Millington, her sister, bassist/vocalist Jean, drummer Alice de Buhr, and pianist/vocalist Nickey Barclay – helped inspire a generation of young female rockers to pick up instruments – several of whom would break through to superstar status. Labeling Fanny “trailblazers” hardly does justice to the band. 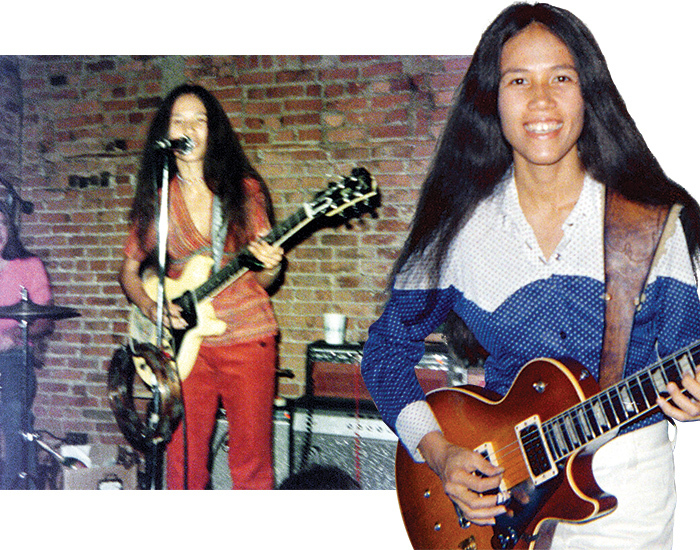 Millington with a Les Paul Junior at the Bitter End, New York City, in September of 1971 (left). “That was a month or two before we went to London for our first European tour,” she said. “That guitar was stolen during load-out in Boston.” Millington with her ’57 Les Paul prior to a taping of “The Old Grey Whistle Test” in late ’71. Millington’s autobiography and the recent digital reissues of Fanny’s first three albums (Fanny, Charity Ball, Fanny Hill) have spurred a wave of interest in the band; last year, the BBC visited Millington at the Institute for the Musical Arts (IMA), a teaching, performing and recording camp Millington helped found in 1986 (see sidebar). We recently spoke with her about Fanny, fame, gear, and more. Jean and I started with ukuleles in the Philippines, picking it up practically from thin air. I think a cousin showed us “My Dog Has Fleas” for tuning and next thing you know, we both had ukes and were playing songs off the radio – “Yellow Bird” by Harry Belafonte, “Travelin’ Man” by Ricky Nelson, and “Tell Laura I Love Her” by Ray Peterson. 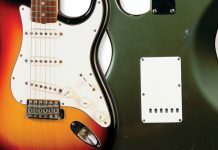 When did you get your first electric guitar? My father fought in World War II and settled in the Philippines. 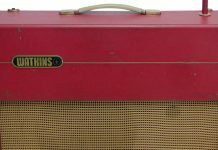 In 1964, after we moved to Sacramento, dad and I walked downtown and found a small Sears guitar with an amp at a pawn shop. I couldn’t believe he got it for me, as we didn’t have much money. But it launched me into the stratosphere. That was The Svelts, which Jean and I formed. It was all-girl band, just like Fanny. We had a rock imperative, even as young girls in late ’64. No one told us it was alright except our mothers! Which musicians were the biggest influence on you? The Beatles… anyone who ever played on a Motown record. 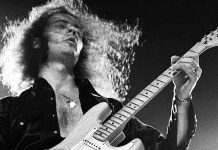 Which guitar players, in particular? Steve Cropper, Jimi Hendrix, Eric Clapton, Jerry Garcia, Jeff “Skunk” Baxter, Lowell George, Elliott Randall, John Hall, Jeff Beck, Rick Derringer, Johnny Winter, Bonnie Raitt, and Ellen McIlwaine. Note that there are only two women, simply because, in my first decade of playing, I didn’t know about Sister Rosetta Tharpe or Elizabeth Cotten. What gear did you start out with in the Svelts? 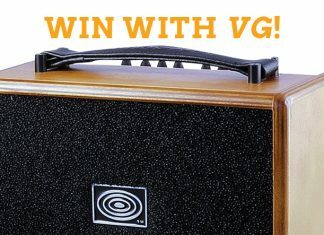 I started with that Sears combo, but as soon as I could, I bought a Vox because the Beatles were using them! Everyone wanted that sound. I got a Gretsch Countryman, too. That was a fabulous combo. At some point, I got a Fender amp and for years used a Twin Reverb. By that time, I had a Gibson ES-355. I’m deaf in one ear, but still had a stereo rig onstage for about a year. I couldn’t really hear it properly, so I had the Twin always to my right – my good ear. The band was always to my right for the same reason. 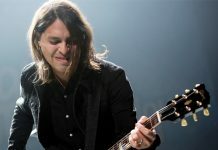 And that Gibson was fantastic for getting a sweet feedback whenever I wanted – it had serious bite. Lowell George, who was a friend, jammed with us a lot during our time in Los Angeles. He was crazy about my 355. The band (from left, June Millington, Alice de Buhr, Jean Millington, Nickey Barclay) as it appeared on a reissue of its 1970 debut album. Once Fanny released its debut album and started touring, you moved to bigger stages. Did you start trying out new gear, as well? Because Traynor was so popular for a couple of years, I switched to their amps for a bit. In fact, I may have had both a Traynor and a Twin when we recorded Fanny Hill in London. But no matter what, the key was – and is – that my guitar and amp always spoke together. For me, notes and tone were inseparable. That meant a lot of fooling around, and a lot of practicing. Do you still have the goldtop Les Paul you played while you were in Fanny? It’s a miracle, but yes. I’ve loaned it to quite a few people but it always came back and remains one of my best friends. It seems to play itself in some mystical way. 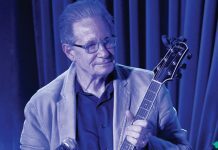 I got that guitar from Kent Henry, whom I met when Fanny and his band, Blues Image, played at the Whiskey a Go-Go. We played together a few times and I was a huge fan. His playing was just so liquid, and he was the nicest guy. 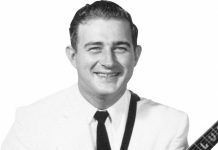 In fact, that Les Paul was used on the outro licks to “Ride Captain Ride” – Kent had joined the band just in time to overdub those. Listening to that record, you can tell how sweet that guitar is. The band eventually broke up and he joined Steppenwolf. I saw them at the Whiskey and we played a festival with them somewhere in the Midwest. By then, I considered Kent a true friend and we’d jammed together quite a bit. Six months later, he tracked me down and asked if I’d buy his guitar as a favor; he was going through a hard time and needed money. I was shocked, but chose not to make a big deal of it. He asked for $500, and I told him I’d check with our accountant. I never spoke to Kent or saw him again after that call, but when I got back to our house, there it was, sitting in the living room. I remember it precisely, that moment, but I’m shy with guitars, so it took me months to open the case and a year to get used to the action and feel. Eventually, though, it took over. And now, that neck and the action and possibilities of both sweetness and that biting tone, if I want to call on it, are a major part of my repertoire. No other guitar behaves as it does. Milt Owen, the great guitar repairman in Hollywood, took the Bigsby off for me. It had such problems with tuning and I never used it, anyway. People get so hung up on having all original parts, but I prefer to focus on results and the feel. June Millington’s ’57 Gibson Les Paul: Ann Hackler. 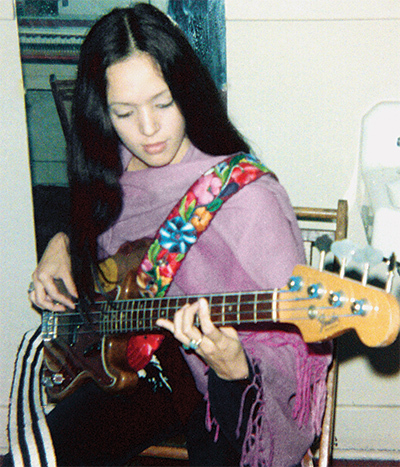 Jean (Millington) Adamian’s ’63 Fender Precision: Marita Maadeloni. It’s a ’57. Totally vintage! Skunk Baxter, who was my guitar tech at the time, talked me into letting him install a master Volume, and now I could never dream of playing it without. It’s a big knob I access with my little finger, so I can fade in and out as I’m playing. It’s a tremendous advantage in terms of palette of sounds. The Tone control for the treble pickup is also modified, so when I turn it to 10, it turns the humbucker into a single-coil. Jeff wanted to give me access to that sound. What other guitars did you use in Fanny? 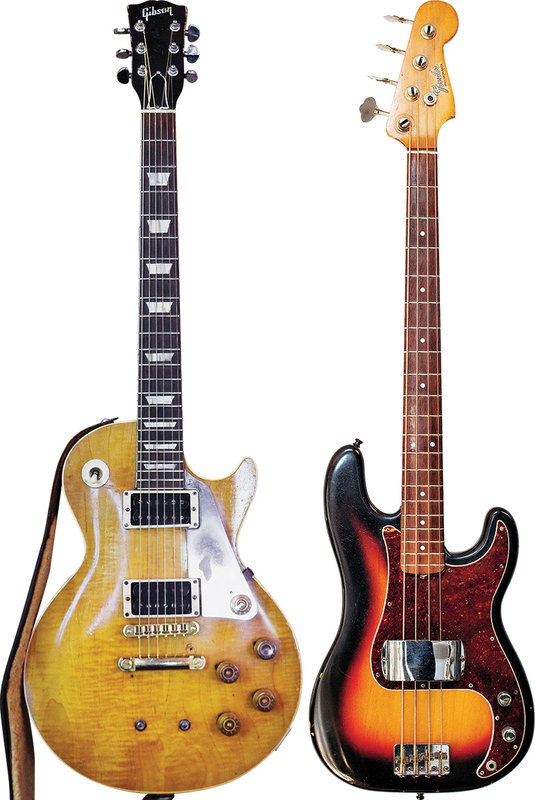 The other two from those days that I still have are my Stratocaster, which I bought from a kid in Memphis, and a Les Paul Junior TV Model. I love it, and it never fails me. It was bought as a replacement for one that was stolen from me on the road. That almost killed me, but I got this one without too much trouble. It’s also the one I play slide on; I adjust it so I can still play it as if it were a regular setup. That requires a lot of fine-tuning, but is well worth it, especially when played live. Your tone is very straightforward, with a few exceptions; “You’re The One” has saturated fuzz, for example. I don’t have any of my pedals from the Fanny days, though I do remember one fuzz – it might’ve been the one I used on “You’re the One” – that would regularly tune in police-scanner frequencies at sound checks and gigs. What a hassle! I really didn’t use that many pedals, partly for that reason. I did use an Echoplex when we were recording our third album, in London. I remember the tape, having to have extra on hand in case it snapped, which it did regularly because I’d change speeds pretty fast sometimes. Also, I used a Leslie speaker, which was worth every second of maintenance and attention. Judging from archival video, Fanny really delivered in concert. Do you think the band thrived onstage? Definitely. We prepared for years, just learning and performing; first Jean and I in Sacramento with our first band, then with Alice and Nicky in late ’69/early ’70. We knew we had to prove we could play and deliver live. Otherwise, no one would believe it. The energy we expended kind of exploded in peoples’ DNA. We had to blast through it all. Your autobiography speaks to the challenges faced by females in the male-dominated music industry of the ’70s and the fact you couldn’t have an off night because it would create an opportunity for people to dismiss you as “just a girl band.” The pressure must have been immense. Did the band spend a lot of time practicing? We incessantly practiced, wrote songs, or played live. Complete devotion. And, as the point woman and lead guitar player who got the attention, the pressure was tremendous. I even practiced in hotel rooms at night, after gigs. As a matter of course, a guitar and tape machine were set up in my room. We knew we were representing women who were starting to be seen in a new light, and that what we were doing was tremendously important. We took it seriously. But being good was fun, too! June Millington’s sister, Jean, with her ’63 Precision at the BBC in ’71. Fanny’s first three albums have been re-released on CD, with previously unreleased tracks. How did that come about? Are you happy to finally have your music available digitally? It’s always good when people get turned on to Fanny. At first it was Real Gone Records making the case for it, then Alice got involved for the re-releases. She’s got a cheerleading kind of energy – razzed and positive – which is really good for us. Our music being available digitally gives our ever-expanding base of fans more options for listening to Fanny, so I’m happy about that. And those who still have their vinyl from back in the day play those religiously, too. There’s been a surge of interest in Fanny, including publicity tied to the release of your autobiography. Are you enjoying the attention? I like the attention given to Fanny, but I really enjoy the more in-depth look and pieces that provide more layering to the experience. The articles complement my autobiography, in which I not only give details and dates – thank goodness Alice kept a diary – but also tell how we managed to put it together and how it felt. That’s really important. I have a feeling Fanny will continue to be listened to. Generationally, it simply will never stop, and that in a way is how it’s meant to be. The music is excellent, the sounds on every album special and timeless, and we really were the girls who led the pack, so to speak. Musically, we ran with the wolves. Any plans for Fanny to re-group for an appearance or new recording? 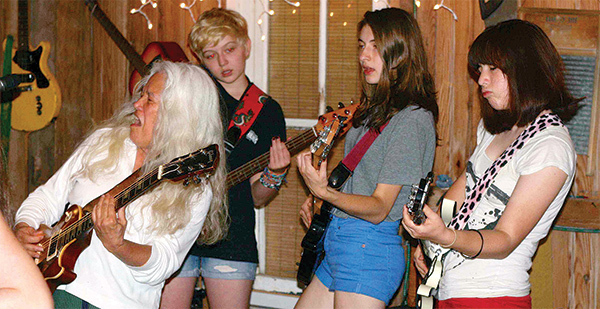 When June and Jean Millington started their first all-female rock group, they had to wing it. 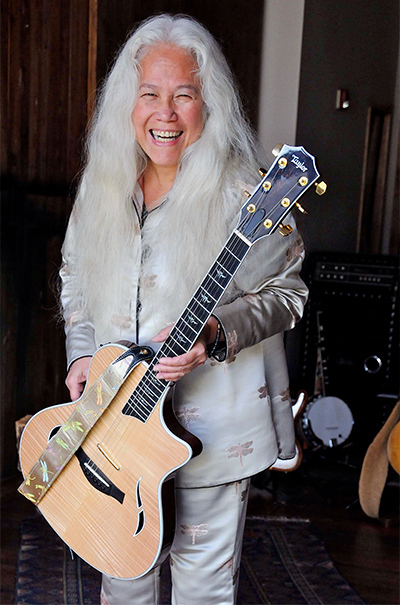 “We had no role models, no way to even know how to play ‘electric’ or start, let alone play in a band,” guitarist June recalls of the late 1960s/early ’70s, when all-female groups of rock musicians were virtually nonexistent. That experience, along with years spent recording and touring in Fanny, led her to create the Institute for the Musical Arts (IMA), a 501(c)3 non-profit foundation designed to nurture and support girls and women in music through classes and apprenticeships; it teaches about performance, artist management, lighting/sound, instrument/voice development, marketing, composition, stage management, promotion, recording, video production, and other topics. June Millington leads a class at the IMA. Millington co-founded the IMA in 1986 in California with partner Ann Hackler, now the institute’s Executive Director. In addition to its summer programs for girls, IMA offers concerts and workshops year-round in support of its mission. In 2001, the organization purchased property in western Massachusetts and moved to a 25-acre site comprised of a house and several barns built in the early 1800s. The largest barn has been converted into a recording, performance, and teaching facility that hosts a multitude of artistic endeavors and seats 200. There’s also a recording chamber large enough for an orchestra, and housing for up to 30 people. The IMA is “basically open 24/7, with any number of activities going on: recording sessions, shows, workshops, camps reunions, and the like,” June said. “In 2012, we held our Lady and the Amp Fest – the girls named it – and we’re repeating it in 2017. Organizations with a similar mission have grown in popularity over the past 15 years – School of Rock and Girls Rock have chapters across the country, the former seeing its profile rise after the successful movie adaptation of the same name starring Jack Black.